This 30-day Virtual Assistant Career Startup System will keep you on task as you begin to develop your own virtual business. Each lesson is packed with excellent ideas, thorough task checklists, business templates, and practical exercises. I have to commend Tawnya on her revised Virtual Assistant Career training program as it provides aspiring Virtual Assistants and Online Professionals with a very easy to follow, step-by-step playbook on building a thriving VA business here in 2009. At VA Classroom, I often hear new people say that they are interested in starting a Virtual Business, but are not really sure how to get started. It is great knowing that I can refer these individuals to a 30-day business start-up program that is practical and easy to implement and will help them to move their new career in the right direction! 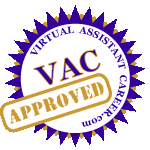 The Virtual Assistant Career (VAC) is an incredible resource for those wishing to start and/or grow their Virtual Assistant business. It’s like having an expert come to your office every day and walk you through the steps to creating a successful business. Tawnya has done all the leg work for you saving you countless hours doing research and finding resources. It is well worth the investment and you absolutely can’t go wrong with a guarantee like this. The VAC is packed full of valuable information to help Virtual Assistants get started and those already in business succeed even more. Each 30 day module is formatted for easy reading making it enjoyable to read, yet detailed enough to cover all the topics thoroughly. The addition of the other VA ebooks in the system, and how they are referenced to provide the reader with precise information on the topic, is unique and adds to the overall quality and enjoyment. Plus, the SEO section alone makes it a must have as the information provided will help gain more clients and more traffic to your site. I highly recommend it! A MUST have for anyone who is interested in starting a Virtual Assistant business. The most comprehensive start up online training system I’ve seen to date. Great ideas, even for the established Virtual Assistant. I highly recommend the VAC and all its bonus goodies! The VAC is a comprehensive step-by-step process to build the foundation of a Virtual Assistant business. Whether you are a new VA or you are just finishing up your business training, this system will bring focus to pulling all the pieces together. It’s set up in such a way that you won’t miss anything, all the details are covered. Invest in the success of your business by investing in the VAC. It’s a decision you won’t regret! This VAC is a ‘must have’ publication for anyone entering the virtual assisting industry. It’s stocked with excellent thought-provoking exercises, tasks, insightful and useful information and is well worth the investment. One of the best industry-related training programs I’ve seen! 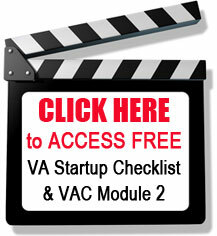 The VAC is a wonderful training center for all new VAs. It takes you step by step through the entire process of setting up a Virtual Assistant business; from deciding on your business entity to setting up your office and everything in between, this manual guides you through every process. The Virtual Assistant Career (VAC) is a hands-on online training center that would compliment any Virtual Assistant’s business from newbie to veteran. The templates included with this system can save the student hundreds of hours in design time since they are ready to be put to work right out of the box! 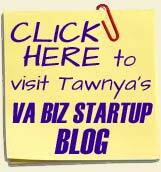 The VA can now spend all that extra saved time on marketing their virtual business and Tawnya, being a Certified Internet Marketing Specialist leaves no page unturned with 1/3 of the training devoted to this topic alone. The VAC modules truly become a living bible of your Virtual Assistant business. From “Phase 1-> Business Sense” to “Phase 7-> Business Maintenance”, Tawnya quickly walks you through a practical and easy to understand daily set of steps to pull your VA business together into a money making business online. The 30 Day Virtual Assistant Career (VAC) was a welcome addition to my list of business resources to recommend for women. Especially women looking for something they can do to earn a living from home. After studying the VAC, I was truly amazed at the vast amount of information and help tools included. The VAC should be a required tool for anyone wanting to start any virtual business online. Tawnya has painstakingly taken the time and made the effort to make sure that “anyone”, and I mean anyone, can master this field using her workbook as a guideline and resource tool. When you want to learn a new trade, go directly to the masters of that craft. Tawnya is truly a master!